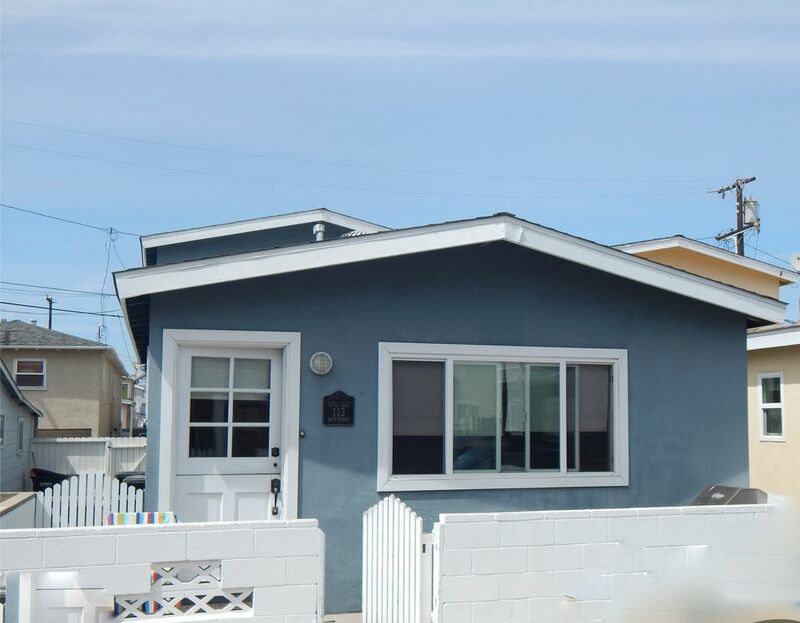 Two 2-bedroom, 1-bath Beach Cottages Located in the Heart of Newport Beach. Only 4 Doors to the Ocean. 2-Minute walk to Restaurants, Cafes, Bike-Rentals, Shopping, Surf Lessons and Boogie Board Rentals. Directly in Front of Newport's Most Relaxing Surfing and swimming Beach. Perfect for families with kids! Recently remodeled with new kitchen, bath, windows, furniture, wood floors, granite counters, etc. Close to airport, Disneyland, Performing Arts Center and UCI. Property Can Be Expanded to a total of 4 Bedrooms and 2 Baths for Larger Groups, Sleeping 12. Ideal Property for Families or Couples. DISCOUNTED RATES FOR JUNE AND MID-AUGUST TO SEPTEMBER. DISCOUNTS ALSO APPLIED TO MULTIPLE WEEK RENTALS AND/OR FOR RENTAL OF BOTH UPSTAIRS AND DOWNSTAIRS UNITS. Local Newport Beach family that has been sharing this vacation house with visitors for over 20 years. It is very important to us that you have a wonderful stay and everything that you need while you are vacationing. We hope that you enjoy the house and Newport Beach as much as we do. Newport Beach is one of the most beautiful places in the world and this property is located at one of the most family-friendly beaches in Newport, near the famous fisherman's wharf. It is near all the shops, cafes, restaurants, bike rentals, surfboard rentals/lessons. It is also close to Disneyland and the Orange County Performing Arts Center. No streets need to be crossed to get to the beach, which is a football field length away. This is not one of your beater beach houses, but a well-maintained, authentic beach cottage. You are 50 yards from the sand and beautiful waves that are perfect for the whole family. The boardwalk is also 50 yards away and allows for biking, jogging, walking, skating from the Balboa Pier to the Huntington Beach Pier. The property is has been remodeled and is in excellent condition. Five doors to beach. View of the beach and ocean from downstairs front unit. 50 yards from beach.View of the beach and ocean from downstairs front unit. Parking for up 1-2 cars. This house is close to everything. It had everything we needed. The Owner is very easy to work with. Great place just steps to the beach and other venues. Highly recommend this to anyone . Except for parking it was great, like being at home. Awesome atmosphere. Great location, steps from the beach, close enough to the hub of action but just far enough away for privacy and quiet relaxation. TV's in all the rooms was a bonus, the kitchen has everything you need and Landry on site was great to have. Parking in the Garage was a bonus as street parking can be an adventure, but having said that you really don't need a car if you are not planning to leave the peninsula. Grocery around the corner, great restaurants/bars down on the beach/boardwalk We are coming back for two weeks next time, we enjoyed it that much! The house was in a great location to the beach, food, fun and was clean and well maintained, Dan was great in making sure we had everything needed to have a fun filled week at the beach, I would definately stay here again. It was great to find such a nicely remodeled rental so close to the beach and the perfect size for our family of 4. It was very comfy and clean. The kids liked the wifi and cable and having a TV in their room. It was a great value! We have been renting these units the last five years.It is the perfect getaway for all, especially families with children. Everything is walking distances (restaurants,grocery store, shops...etc) and the closeness to the beach is perfect. The unit is very well kept and up to date. We look forward every year to coming back. It has everything you need to have a worry free vacation. The owners are the best! Truly a gem! Surfing, biking, body surfing, boogie-boarding, snorkeling, Disneyland close, Orange County Performing Arts Center close.